Out of the abundance of marijuana-related bills being considered at the top of this legislative session, only a hardy few will be making it past the first round of committee hearings. Several controversial measures have fallen by the wayside, including SB 3009, which gave physicians greater discretion and created a broader category of low-THC marijuana patients, HB 1680, which confined marijuana cultivation to dispensaries, and HB 2709, which allowed doctors to provide temporary registration cards to patients. 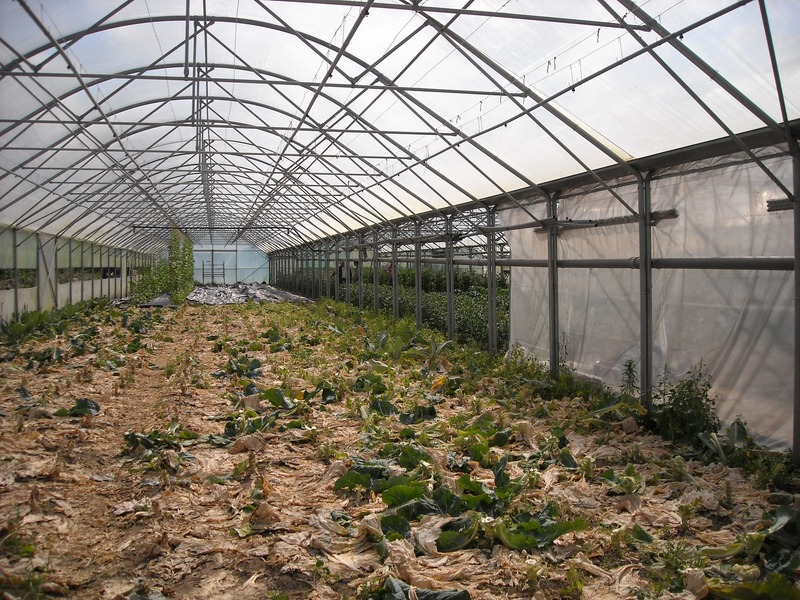 However, there are still measures regarding greenhouses that are up for debate. The greenhouse ban has been widely acknowledged as one of the weaker aspects of the medical marijuana dispensary rules promulgated by the Hawai‘i Department of Health (“DoH”). Legislators criticized the ban as ignoring their legislative intent, and industry supporters noted the economic and environmental problems that would accompany such a rise in energy consumption. In response, legislators introduced two companion bills, HB 1808 and SB 2523, that would allow “greenhouses, shadehouses, or fenced-in open-air growing operations . . . not visible from a road or street used by the public.” There has been a wide variety of testimony on these greenhouse bills, both for and against. HB 1808 was deferred last week by the House Health Committee, but today the Senate Commerce, Health, and Consumer Protection Committee recommended that SB 2523 be passed with amendments. The Attorney General’s Office did not oppose HB 1808 or SB 2523 at either hearing. They merely requested that the legislature clarify the bills by providing: 1) definitions of “greenhouse” and “shadehouse,” and 2) what aspect of the production center (i.e. the contents or the building itself) may not be visible from the road. The Department of Public Safety testified that their opposition to SB 2523 stemmed from the unknown security concerns, particularly for open air growing operations. DPS asked that DoH be allowed to implement the current cultivation security protocols before allowing alternate forms of production centers. Interestingly enough, DPS was not the only testifier with concerns about the timeline for the implementation of these measures. Creating an Unfair Business Climate? Ellen Watson, a senior mycologist for Pacific Enterprises, Inc., applauded HB 1808 and SB 2523’s “common sense changes” but suggested that the dispensary application period be re-opened in order to avoid unfairness. Watson argued that many potential applicants would have applied for a dispensary license had they not been required to “grow in a tomb.” At last week’s hearing, the Department of Health agreed with Watson that passing this measure during the application period would create an unfair business climate. To legalize these, ostensibly more affordable, cultivation facilities now that applications have been submitted would amount to a legislative “bait and switch,” Watson opined. Senator Will Espero conceded that allowing open-air grows during this round of applications could raise a fairness issue because of the language from HRS § 329D that requires production centers to be “enclosed, indoor facilities.” However, Senator Espero did not believe that the same issues arose for the other production centers in SB 2523 because hybrid greenhouses were contemplated by the DoH in their FAQs for dispensary applicants. Ultimately, Committee Chair Roz Baker agreed that there was a potential fairness issue with allowing this bill to affect the first round of dispensary applicants. The amended version of SB 2523 has an effective date of 2050 in order to ensure that it will only apply to the second wave of applicants. However, the committee report will reflect the legislators’ belief that greenhouses currently comply with the interim dispensary rules. The committee also opted to remove fenced-in open-air growing operations from the bill, though not because of the security concerns raised by law enforcement. Chair Baker’s main concern stemmed from the quality control issues of growing a medication outdoors, particularly in light of the industrial hemp legislation also being considered this session. Pollen from hemp could effectively neuter any nearby marijuana plants, said Chair Baker, and the size of hemp plants precludes their being grown in an indoor facility, unlike medical marijuana. All committee members present voted in favor of the bill as amended, so SB 2523 will now be moving on to the Senate floor for a vote. Should SB 2523 fail to gain traction with the remainder of the Senate, there is still another bill with greenhouse provisions working its way through the House. HB 2707 is an omnibus bill seeking to fix many of the problems identified by industry experts and stakeholders in the informational briefings leading up to this legislative session. Among the fixes is a more conservative approach to the greenhouse issue. Using language suggested by the Hawai‘i Dispensary Alliance, HB 2707 states that greenhouses and shadehouses may qualify as “enclosed indoor facilities” so long as they comply with the other structural and security requirements of Act 241 and the interim dispensary rules. Because this measure merely codifies the stance adopted by DoH in their FAQs, it should not raise the same fairness issues as HB 1808 or SB 2523. HB 2707 passed the House Committees on Health and Judiciary on February 17, and it is now headed to the House Finance Committee.